In 2013 we released our first album, Paula Agnus Denise, and our second album, Insert Disk 2 by Instant Remedy was released in 2015. Most of our releases have a connection with the Amiga, our favourite home computer from the 1980s and 1990s! Three more CDs have been added to our shop: the soundtracks of the games Tunnel B1 and Extreme Assault, both by Chris Huelsbeck, and the double album The Amiga Works by Allister Brimble. Our new album Insert Disk 2 by Instant Remedy has been released on the Back in Time Live show in Brighton. The CD can be ordered via this website, and is also available digitally as downloads and music streaming now. 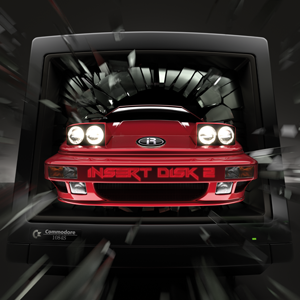 A new album with dance remixes of music from Amiga games, titled Insert Disk 2 by Instant Remedy, will be released on June 20. The album is now available for pre-order, and will be available as a CD in a Digipak, and digitally as downloads or music streaming. As of the beginning of this year we have taken over the distribution of the Immortal 3 and Immortal 4 albums. These albums were previously available from MAZ Sound Tools who unfortunately closed their doors at the end of 2014. Our first album has been released! "Paula Agnus Denise – Best of Amiga and CD32 video game music" is a compilation album of music from Amiga and CD32 games, which is available on CD, download and streaming formats.